Black Friday may be the busiest shopping day of the year in the United States, but Single’s Day is the busiest shopping day in the world. The Chinese alternative to Valentine’s Day is on November 11th and it’s not uncommon for consumers to spend three times the amount spent on Black Friday and Cyber Monday combined. Take a closer look at Single’s Day and what it means for Chinese consumer spending and the importance of international investing. 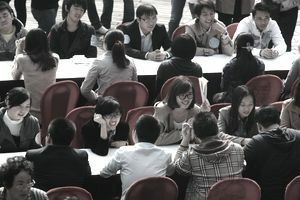 Singles’ Day—or Guanggun Jie—is a popular holiday among Chinese young people to celebrate being single. The date of the holiday was chosen because of the number “1” and the numerical representation 11/11 for November 11th. Since its inception back in 1993, the holiday has evolved to become the single largest online shopping day in the world with sales of well over $20 billion across many different retailers, including Alibaba. The biggest beneficiary of Single’s Day is Alibaba, which is China’s largest online retailer like Amazon.com in the United States. In 2016, Apple, Target, Costco, Macy’s, Starbucks, and other U.S. companies made their products available for the first time. Investors can gain exposure to Alibaba through its American Depositary Receipt (ADR)—Alibaba Group Holding Ltd. (NYSE: BABA), while investors in domestic companies could benefit from higher sales. China’s Singles’ Day isn’t the only sign that its middle class continues to spend. In recent years, the country’s automotive industry surpassed America to become the largest car market in the world. Consumer spending between 2000 and 2010 grew from $650 billion to nearly $1.4 trillion, according to McKinsey Group, driven by more than $5 trillion per year in household income that’s increasingly going into discretionary categories. China’s economic growth has been driven almost exclusively by savings, investment, and exports. By focusing on these areas, the country’s infrastructure was financed with its own cash rather than relying on foreign debts. These dynamics made it appear that domestic consumption shrank from just over 40% of gross domestic product in 1985 to less than 35 percent of GDP by 2013, but absolute spending has been on the rise. Premier Wen Jiabao outlined a series of reforms back in 2013 aimed at unleashing the power of China’s consumers. In part, these initiatives would accelerate reforms of the hukou household registration system that was designed to drive urbanization and promote consumption among the middle class. The country also aims to expand its middle class by spreading the wealth rather than having it concentrated in the hands of a few. McKinsey Group believes that per-household disposable income of urban consumers will double between 2010 and 2020 from about $4,000 to $8,000, which will bring it closer to South Korea’s current standard of living. These dynamics could convert China into an investment destination for those looking to capitalize on consumer spending, with many U.S. companies looking to become increasingly involved in the market. Singles’ Day has become the largest shopping holiday in the world, eclipsing Black Friday and Cyber Monday’s combined sales in the United States. The holiday’s success represents the growing spending power of China’s middle class, which continues to devote more household income to discretionary spending. The government continues to encourage these dynamics as it looks to shift from an export-driven economy to a service-driven economy. International investors looking to capitalize on these trends may want to consider Alibaba Group Holding Ltd. (NYSE: BABA), which is China’s largest online retailer that generated between $15 billion and $20 billion on November 11th alone. Of course, it’s important to understand the political risks associated with China’s markets and the potential consequences for its high levels of consumer and corporate debt as a percentage of income.